When simplicity matters, choose T.G.I. for all your invention needs. T.G.I. 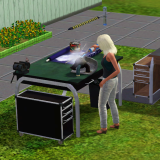 - Trans Galactic Incorporated, A modified Invention workbench to build alien devices.